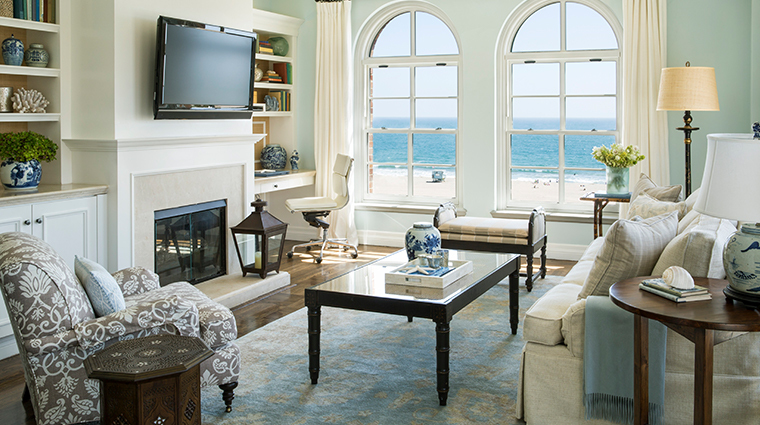 Casa del Mar is located right on the sand in the heart of the Southern California seaside community of Santa Monica. 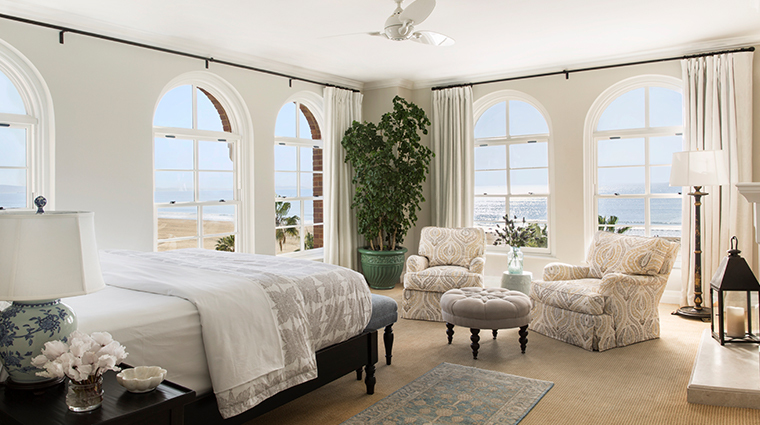 Originally built and opened in 1926 as Club Casa Del Mar as one of the West Coast’s most exclusive beach clubs, Casa del Mar was revived to its 1920s glory after a $50 million renovation and restoration in 1999 and once again offers the best of the best to California’s elite. 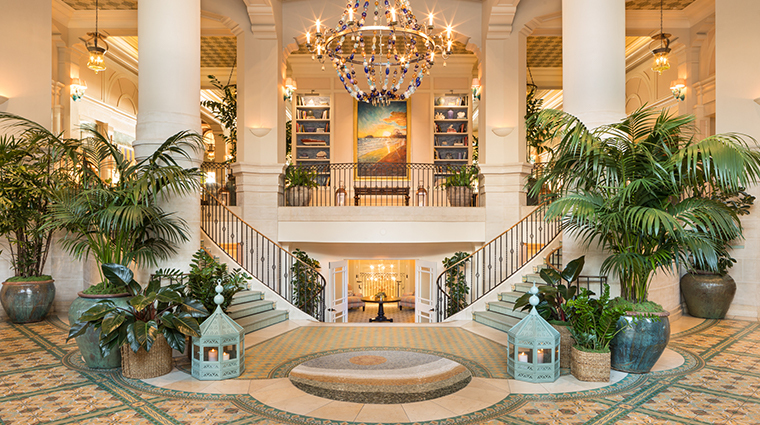 Mosaic tile work, soft colors and rich woods reflect the “historic beach club” setting, and the eight-story property features a red-tile roof, wrought-iron balconies and sculptures throughout the property. 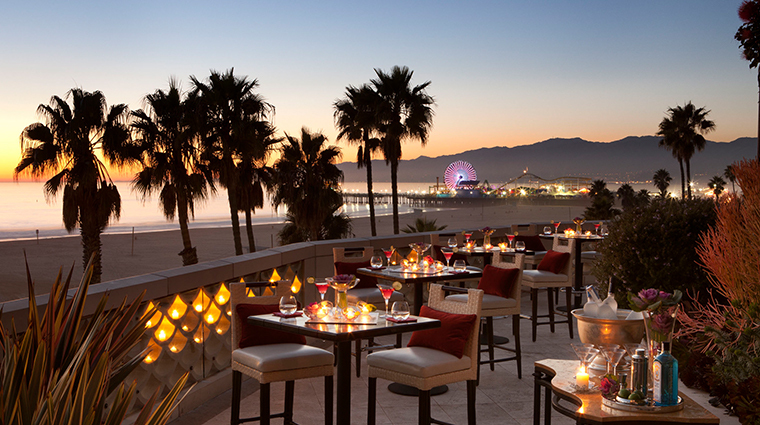 The hotel is near the Santa Monica Pier, Third Street Promenade, Main Street, the elegant shopping and dining areas of Montana Avenue, as well as the gardens, walkways and expansive ocean panoramas of cliff-top Palisades Park. 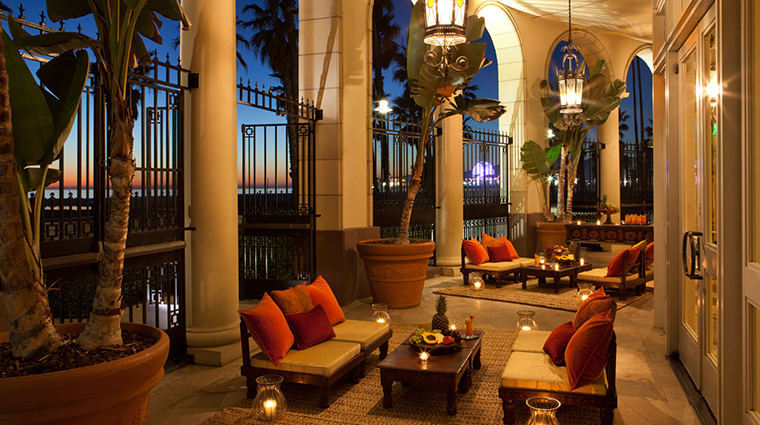 Casa del Mar’s main restaurant is Catch, which offers market fresh seafood in an upscale, yet casual, setting. 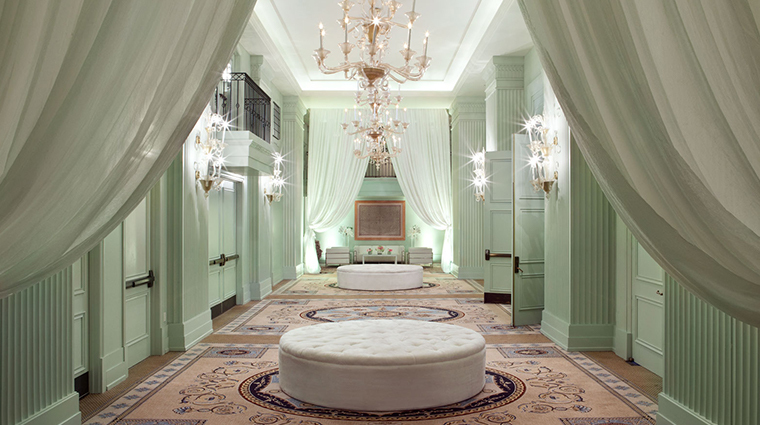 Catch is open for lunch 11:30 a.m. to 3 p.m., and 10:30 a.m. to 3 p.m. for brunch on the weekends; dinner is available 5:30 to 10 p.m. 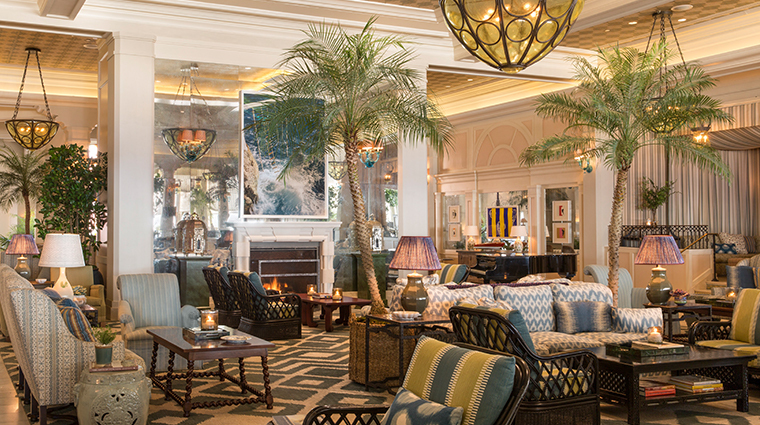 The Palm Terrace is a pool and garden deck for the Forbes Travel Guide Four-Star hotel guests only, serving a light menu and beverages al fresco, open 11 a.m. to 6 p.m. daily. 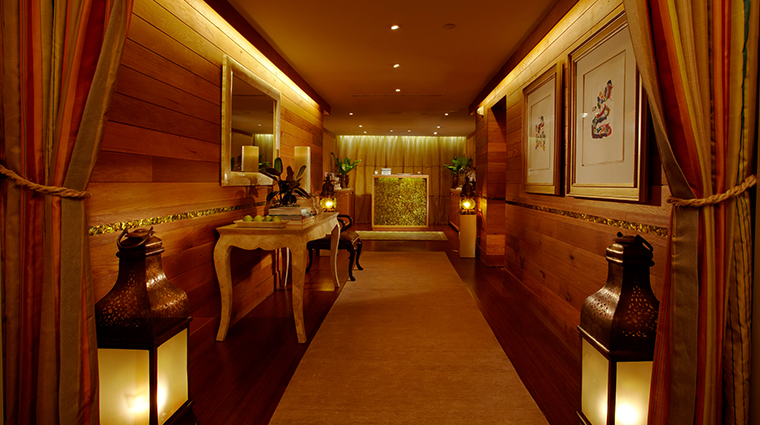 A new resort fee of 25 USD was implemented in January 2017 at this Forbes Travel Guide Four-Star hot spot which covers high-speed internet, daily exercise classes, daily one-hour bicycle rental, twice daily in-room water bottle service and house cars for transfers within a 3-mile radius of the hotel. 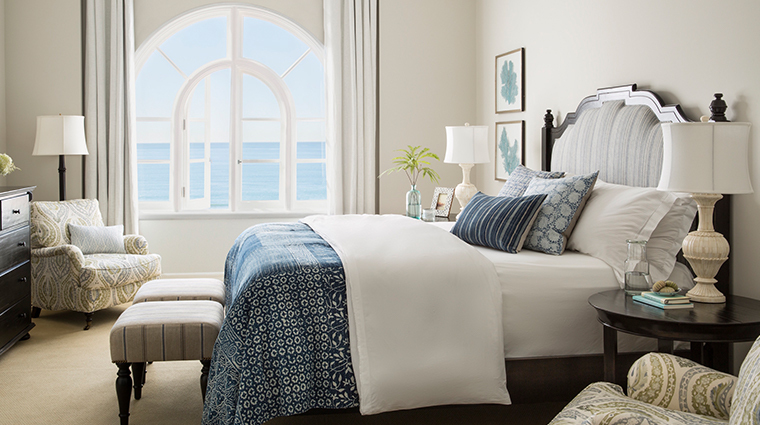 If you had to pick a best time to visit, you can’t go wrong with summer. 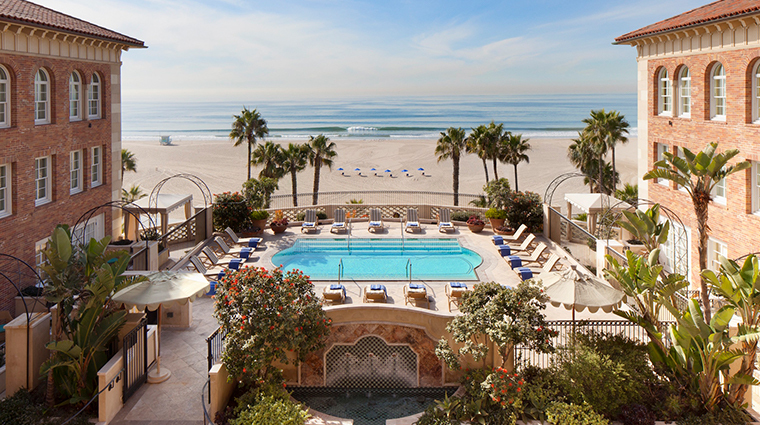 Between the warm California sun and the endless amount of activities, you can leave with a great tan and a relaxed mind and body. 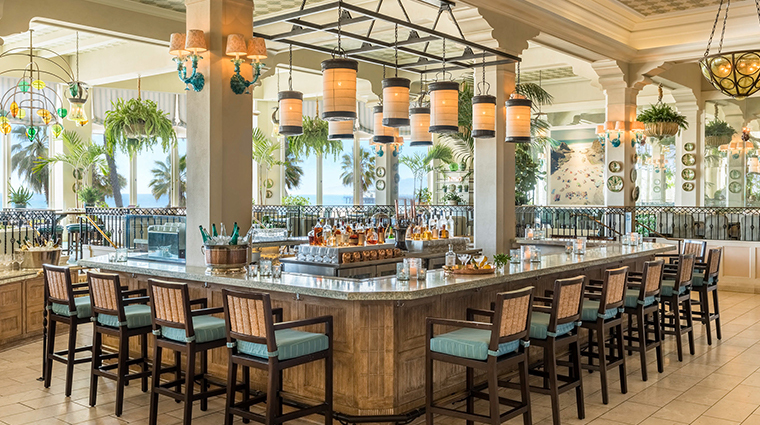 Casa del Mar also has The Veranda, a casual dining and drinking area serving breakfast from 7:00 a.m. to 11:00 a.m. and brunch on Sunday. 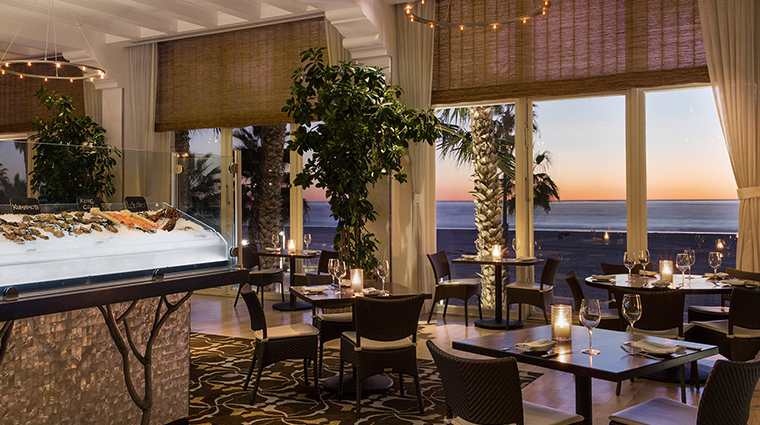 After 2:30 p.m., a selection of light California Cuisine is available. 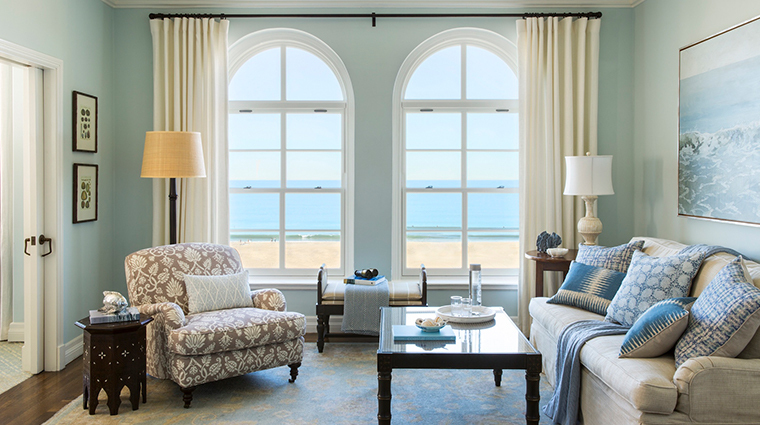 Casa del Mar offers 129 guest rooms and suites, many of which offer views of the Pacific coastline or city views of Santa Monica. 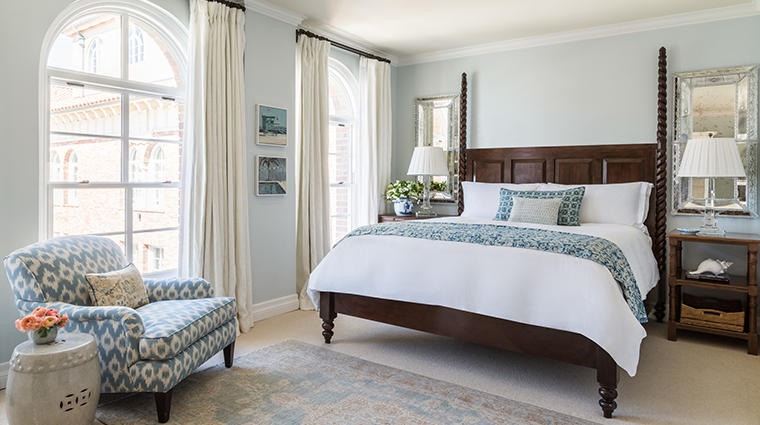 Designer Darrell Schmitt created the guest rooms to feel like a romantic beach estate with four-poster walnut beds and white linens and accents colors of blue and ivory. 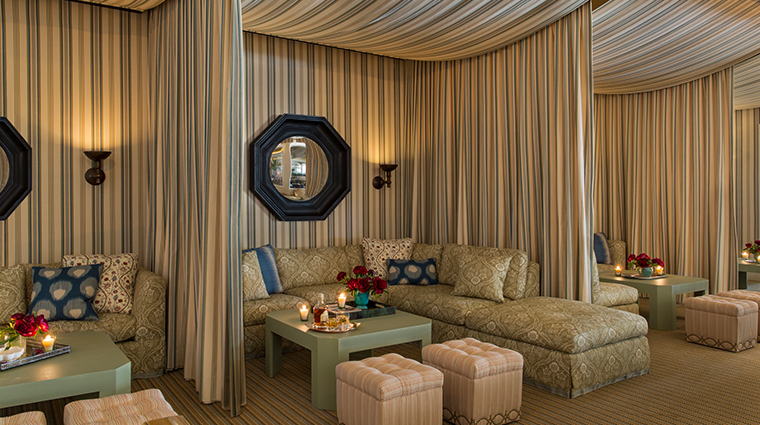 Each room is also equipped with the latest technology, including 42-inch plasma television in the main room and a flat screen TV in the bath, wireless and T1 Internet access, and an iPod docking station. 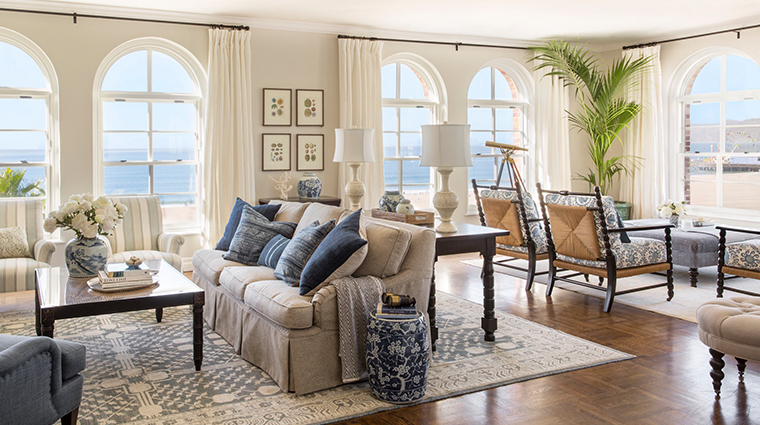 Three lavish two-story Penthouse Suites at the Four-Star hotel are also available and are designed to resemble Italian seaside villas with a living room with fireplace, formal dining area and one or two bedrooms. 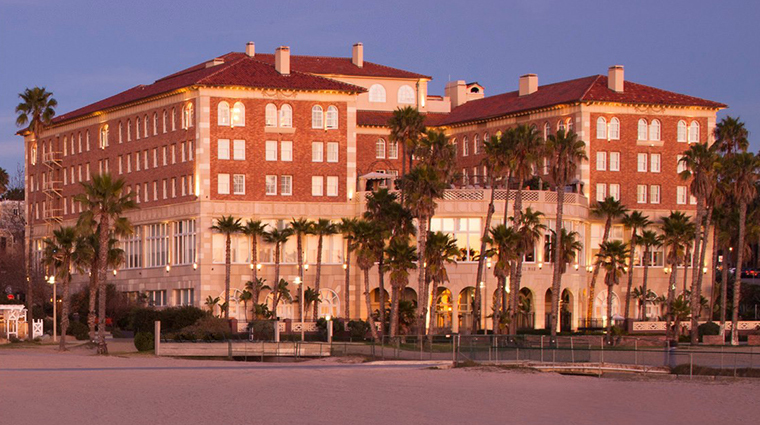 Casa del Mar was built in 1926 at the height of the roaring ’20s. 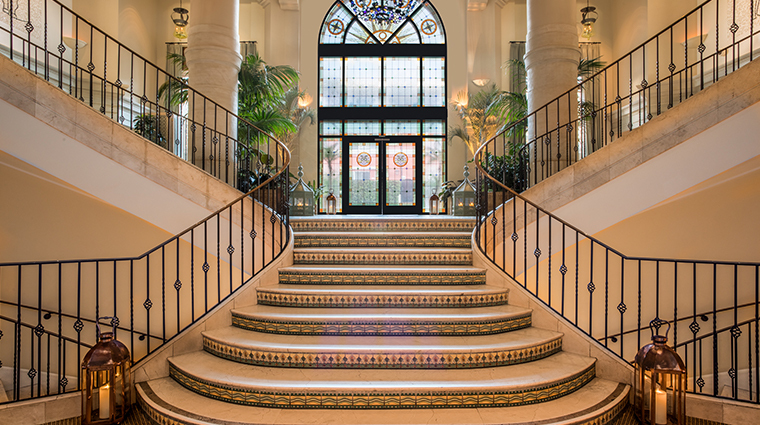 Architect Charles F. Plummer designed the opulent Italian Renaissance Revival-style hotel, considered one of the most glamorous on the west coast at the time it opened. 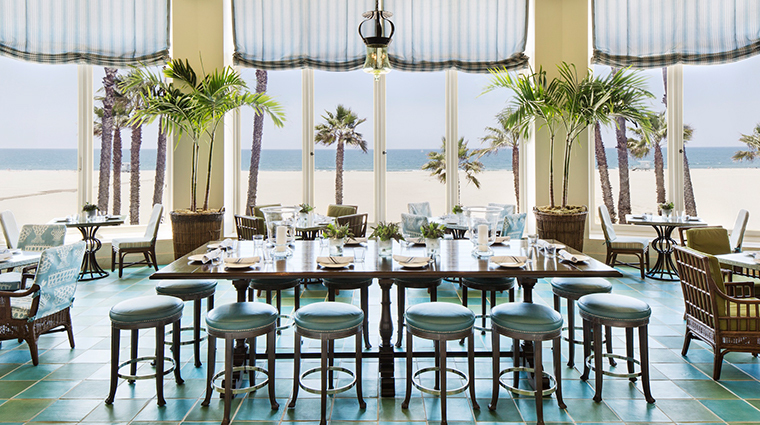 Today it’s still considered one of California’s most luxurious beach settings, and underwent a $50 million renovation to restore the hotel to its former glory. 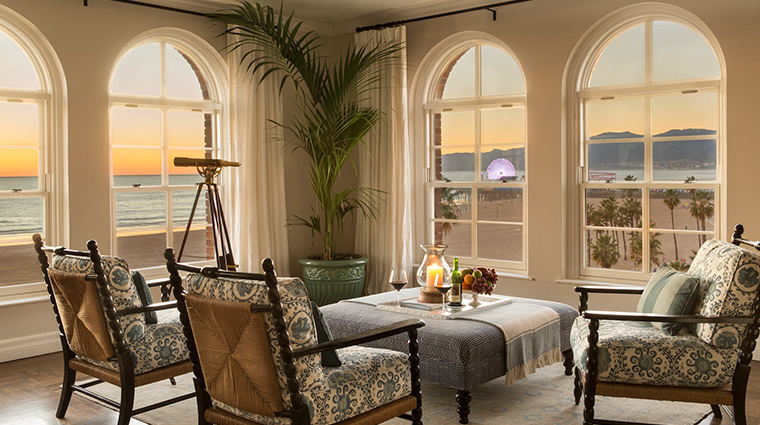 Rooms at the Four-Star hotel are designed to feel like they’re part of a romantic beach estate, and include four-poster walnut beds and white linens.